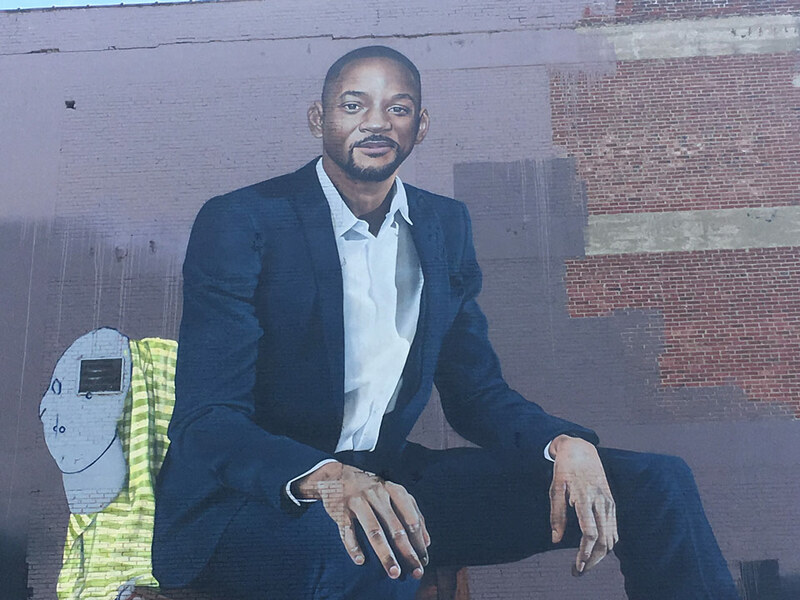 Will Smith gets West Philadelphia mural. Matt O'Donnell reports during Action News Mornings on June 6, 2018. It was an easy choice for London-based artist Richard Wilson. 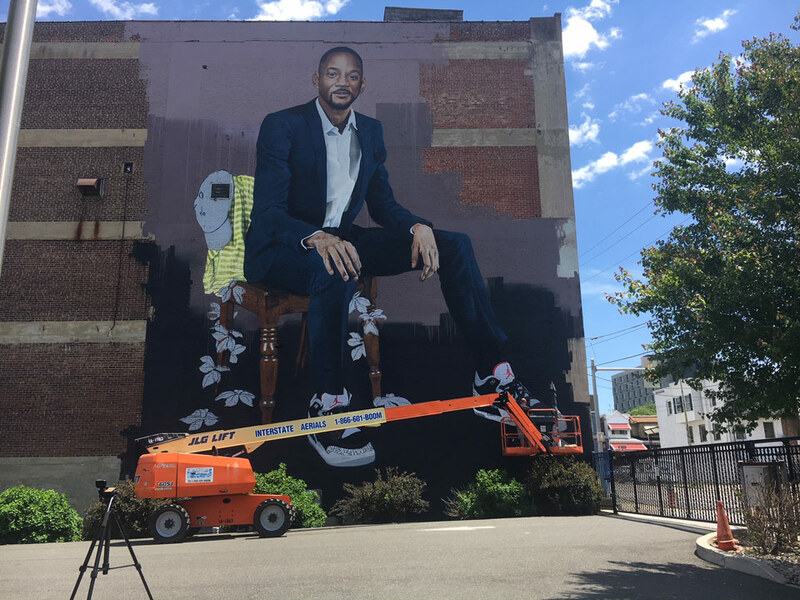 He always wanted to paint a mural of Philadelphia native and Hollywood star Will Smith, he just needed to find the right canvas in the right location. "From time to time I take on self-funded projects where I try and paint someone who is really inspiring. I'd had Will in the back of my head for some time with a view to paint him in West Philly," Wilson told 6abc.com. Rather than flying over here to Philadelphia and searching for the best wall for his Smith mural in person, he found it a different way - on Google Maps. "I typed in West Philadelphia and zoomed in and it put me pretty much where the wall is. I used the street-view to virtually drive up and down and found this wall. It was the biggest I could find and just felt right," Wilson said. It turns out, the wall is located near the Global Leadership Academy Charter School. A few months ago, Wilson flew from England to the City of Brotherly Love to ask permission. He met his friend, and renowned DJ, Rich Medina who took him to the spot. At first, the owner of the warehouse where the wall sits was away. But through persistence and help of the Mural Arts Program, Wilson was able to not only get the OK from the warehouse, but also from the school, since his lift machine would be located in their parking lot. With the wall as his blank canvas, the London artist had a dilemma. Which Will Smith to paint? "One reason I hadn't already tried to come out and paint Will was that I didn't know how to paint him in terms of composition and should it be 'Fresh Prince' era or now?" Wilson said. As he pondered, he began to get inspiration from a surprising source - the newly launched Instagram account of one Will Smith. Wilson said the posts provided him with context. "Will started using Instagram, I love his posts. I think they are so motivating, this in itself was a huge reason," Wilson said. Then Smith posted a selfie in front of a mural and Wilson knew he had his answer. "He posted a selfie of him in front of a mural by one of my favorite artists called Smug. Smug is one of the best at spraypainted portraits in the world and a big hero to me. Usually big stars don't take the time to check who did a piece if it's in the background of a selfie, Will did. 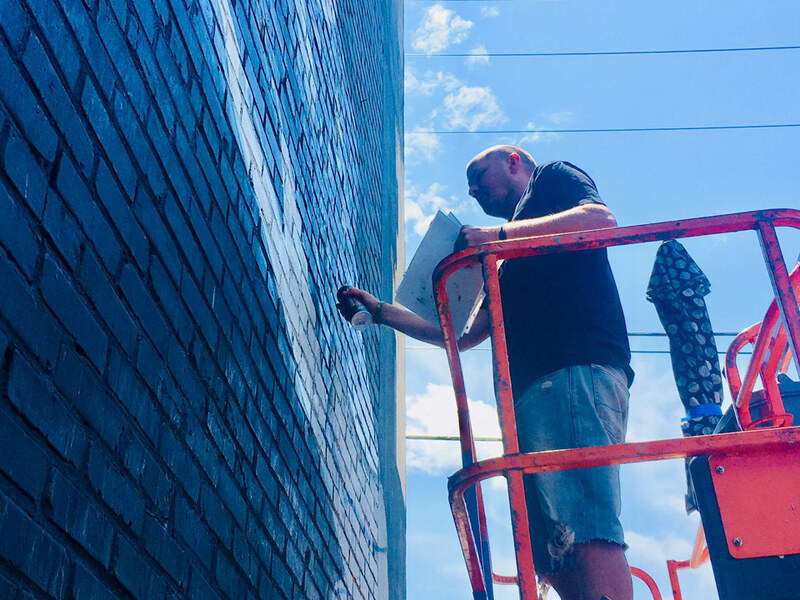 It made me think he has a big appreciation for artists, wall art, and, in my own small way, I wanted to give props to him for doing it right," Wilson said. Wilson said he also got inspiration from Kehinde Wiley's portrait of President Barack Obama. He calls the painting one of his favorites and Wiley as one of heroes. 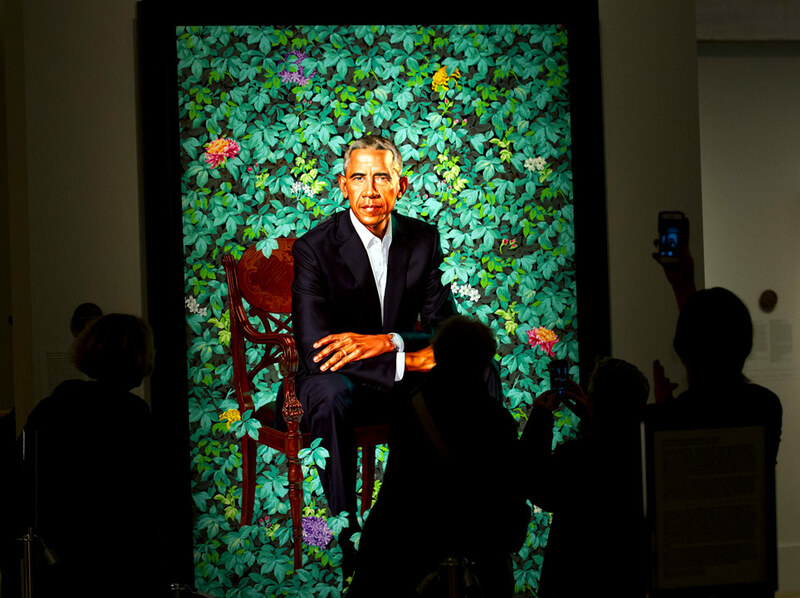 Visitors take pictures of the official portrait of the former President Barack Obama in the first day open exhibit at the Smithsonian's National Portrait Gallery. "I decided to paint Will with reference to Kehinde's piece of Obama, sat in a suit, on a wooden chair, also I added some leaves as a clear reference. It was something special for me to try to, again in my own way, to pay tribute to Kehinde for his achievements and how amazing he is as an artist," Wilson said. Wilson thinks if there was ever a movie made on Obama's life that Smith would be perfect for that role. But has the 'Summertime' singer seen his West Philly image yet? "No direct contact, but his people have been in touch and also been to see the wall. They left me completely overwhelmed and humbled by their words and support," Wilson said.